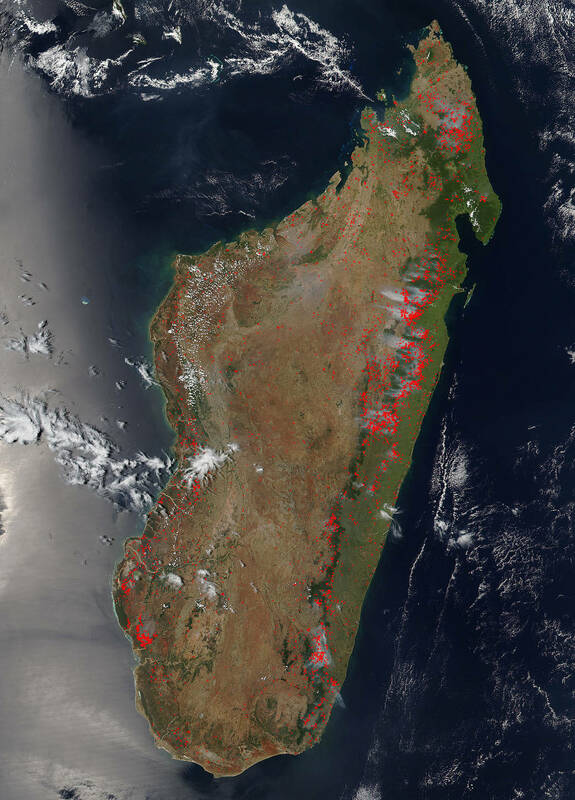 The fires in Madagascar is a huge problem. Fires are scattered across the coastal plain, and several of the smokiest fires appear to be burning at the edges of or in densely forested areas. Some of these may be naturally occurring forest fires, but are more likely intentional land-clearing or accidental human-caused fires. As in Africa, people in Madagascar have used fire as a land-management tool for thousands of years. They can have a significant impact on climate, air quality, and plants and animals, particularly when they get out of control and penetrate natural areas. To help villagers control the fires we plan to purchase fire extinguishers. These are easy to use and to store. A quad bike is essential and the most suitable mean of transportation as it can be used around the forest when it is not accessible by car. It will be beneficial in allowing to inform villagers of emergencies quickly. Presently, the people need about 2 hours and 4 hours back and forth as the distance between the forest and the nearest village is about 10 km.The villagers usually use a zebu cart for transportation which is very slow. The bike can also be used to transport materials. Another part of this project is building a firebreak – a barrier of cleared land intended to stop and to control the spread of forest, grass or bush fire. We will create and maintain it according to the need. Currently firebreak runs a span of 5 km. We ask the villagers to participate in the process of creating the firebreak and maintenance of the existing ones. During the work, they stay in a special shelter that we have built. In 2016, a few people have stayed there but as the number of participants increased, they will not fit in the same shed. Therefore for the next firebreak activity we plan to hire a tent and more people can stay in. During the creation of the firebreak, villagers do not seek any payment as it is beneficial to them as well; we only provide the food during that period. The budget here is to buy food for participants during those 3 days.